Please provide your registered email id to reset your account password. 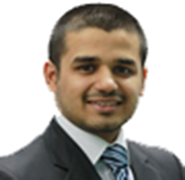 Mr. Gupta is the Founder and Managing Director of Stakeholders Empowerment Services. He is ultimately responsible for all aspects of the firm’s strategy, team and operations. He has over 37 years of diversified professional experience in public and private sector including two terms with securities market regulator (SEBI) in India. 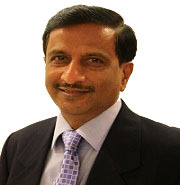 In his first stint with SEBI (1994-96), Mr. Gupta was the Division Chief of Primary and Secondary Market Division. He was the SEBI nominee director on the boards of Pune and Vadodra Stock Exchange. He re-joined SEBI in July 2009 as Executive Director for a two year term and was in charge of Market Regulations, Surveillance, Derivatives and New Products departments. He was a member secretary of the Committee headed by Dr. Bimal Jalan, former Governor, RBI, to review market Infrastructure Institutions. He was also SEBI nominee on IOSCO Standing Committee, member of Steering Committee of CPSS-IOSCO. Mr Gupta is a B Tech (Electrical Engineering.) from IIT Kanpur (1977), CAIIB (1984), and Certified Financial Analyst, ICFAI (1991). He started his career with BHEL and later worked with State Bank of India, Indo Gulf Fertilizers Ltd & Grasim Industries Ltd. He also worked with Kazstroyservice Group, Kazakhstan from 2001 to 2009, as Group CFO. He is also a member of International Corporate Governance Network (ICGN). 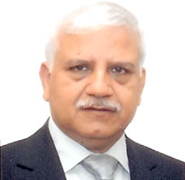 Mr. Bhandari, FCS, is an Executive Director of Stakeholders Empowerment Services. Prior to joining SES, he worked at senior positions in Aditya Birla Group companies for 30 years before retiring as Joint President & Company Secretary of Aditya Birla Nuvo Ltd in July, 2013. He was also a member of Legal Affairs Committee of Bombay Chamber of Commerce, Corporate Laws & Legal Affairs Committee of FICCI and the Secretarial Standard Board of ICSI. He has rich experience of legal and secretarial function and has handled various capital raising programs, mergers, demerger, amalgamation and other corporate activities for the group. Arjun is a B.Tech in Chemical Engineering from IIT-Kanpur and a CFA charter holder. He started his career as a process engineer with Rio Tinto, Australia in 2008 and later worked with the Performance Improvement team (servicing the Financial Services industry) at Ernst & Young, India before founding SES in 2012. 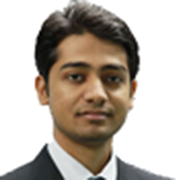 Amarendra is a B.Tech in Chemical Engineering from IIT-Kanpur and a CFA charter holder. He has also cleared CAIA level 1. Prior to starting SES in 2012, he worked with Deutsche Bank, Mumbai in Equity Derivatives team and Credit Derivatives team for London Markets for four years. Will Mindtree fourth-quarter results impact L&T’s open offer?